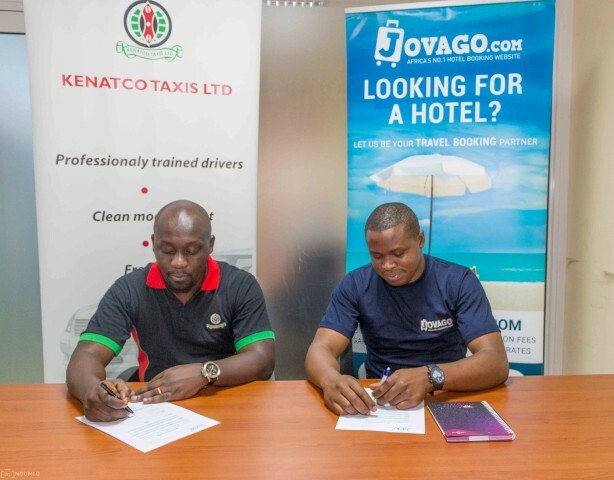 Jovago has signed a partnership with national taxi service company, KENATCO TAXIS LIMITED that will see both companies collaborate to bolster convenience for anyone traveling in Kenya. This agreement comes a few weeks after the company launched customized packages with local air carrier, Safari Link, with the same objective of creating convenience, speed and effectiveness in the online tourism sector in the country. Cyrus Onyiego, the newly appointed Country Manager for Jovago-Kenya cited that, “capitalizing on a seamless customer experience is key to building both a loyal customer base, as well as advancing excellent referrals. The partnership in part advocates for value-added service to respective customers while raising brand awareness of both parties and their products. Business Development Manager for KENATCO Kennedy Anam said provision of a seamless taxi transfer from the airport to a hotel and within the town where these tourists visit is key for both industries. Security, professionalism, and years of experience make Kenatco Taxis limited the ultimate partner for this venture. KENATCO Taxis Limited currently operates in all major cities in Kenya that include Nairobi, Mombasa and Kisumu with an increasing and diverse fleet of vehicles, therefore catering to unique travel needs and preferences. According to the World Economic Forum, Travel and Tourism Competiveness Report 2015, Kenya ranks 5th in the region and 78th out of 141 countries on the world wide scale. Improving business environment is stated as one of the factors that will help the country in improving its global positioning.